This postmodern cruciform red brick church was opened in 1966. The sanctuary features a Florentine mosaic of Christ the King. The windows depict the Second Vatican Council, Archbishop Boland, Pope Paul VI, and Pope John Paul II. 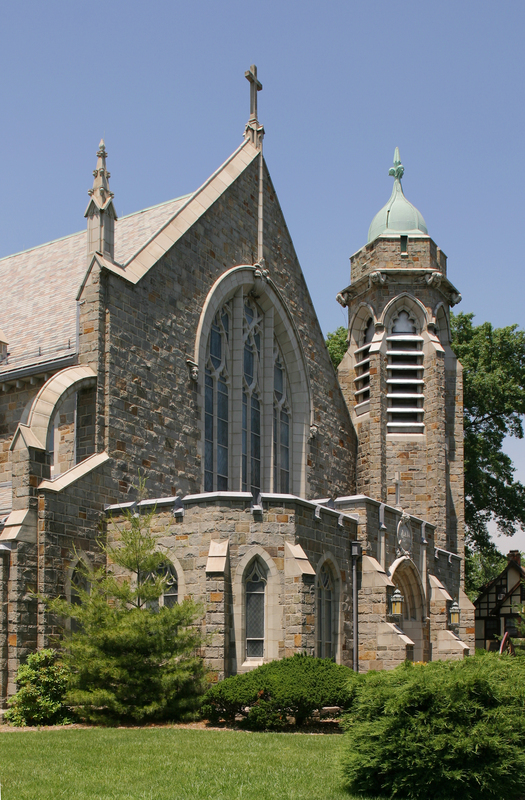 St. Catherine’s is a beautiful Gothic Revival church in the English style. Constructed of Weymouth granite, it features flying buttresses.